Victory Heating and Air is a commercial heating and cooling company that services Apple Valley customers and those throughout the entire High Desert region. We are the leading experts in commercial air installations and commercial HVAC services. We work with our clients in order to ensure that their commercial space is comfortable at all times, and we pride ourselves on the level of customer service that we provide to our customers. Our goal is to keep your HVAC equipment running at its maximum efficiency, ensuring that you enjoy a space that is completely comfortable and affordable to maintain. ​If you are interested in having a custom HVAC system created for your corporate space, or you would like ventilation upgrades made, then we are available to help you out. We specialize in many different types of HVAC services, including air conditioning installation, furnace installation, air conditioner and heating repairs and also preventative maintenance programs. We guarantee you that you will receive an estimate that is fair, and we will take into account all of your needs and desires when putting it together. We pride ourselves on the fact that all of our services are both reliable and affordable. Our team of expert HVAC technicians will provide you with the service you need, all while remaining friendly and professional. We treat your space as if it were our own, and we take pride in our work ethic and the results that we produce. 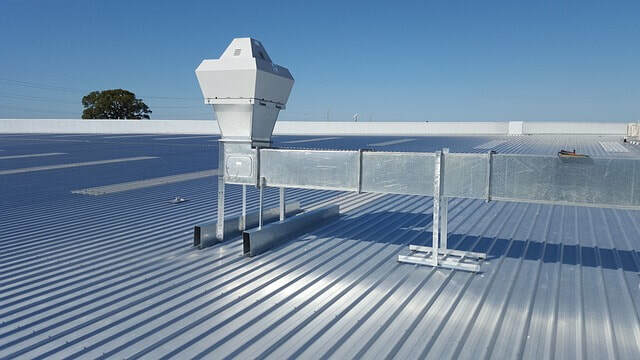 We will work with corporate property managers, corporate business owners, as well as tenants of corporate spaces, in order to be sure that they are getting the HVAC services that they need. We can provide you with a solution and a plan for any HVAC services that you require. ​We understand that you will want to get premium services at an affordable cost, and we specialize in providing our customers with just that. We invite you to contact us today in order to set up a consultation appointment and receive an estimate for your project. In order to receive your free estimate today and to begin working with the leading corporate HVAC company in the High Desert region, contact us today. We look forward to hearing from you and providing you with more information about the HVAC services that we can provide. In no time at all, your corporate space will be more efficient and more comfortable.